It’s hard to believe, but Menards only has one, yes 1, new FREE After Rebate item in their weekly sale flyer. 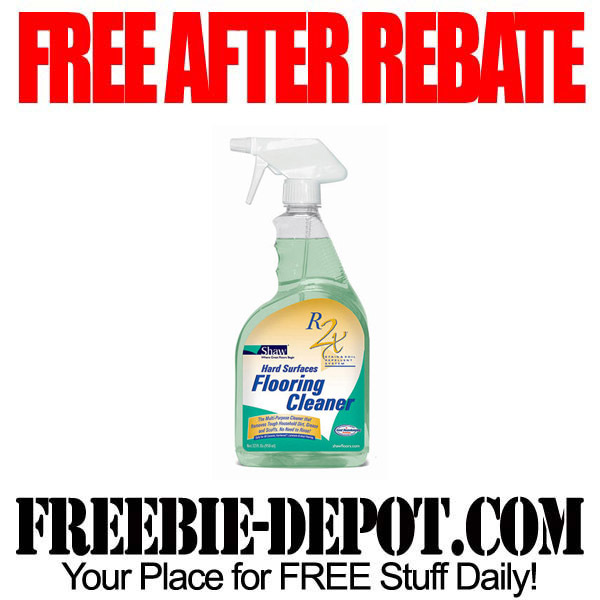 R2X Floor Cleaners (Carpet Stain & Soil Remover or Hard Surfaces Cleaner) are FREE After Mail in rebate of $4.99 each. There is a limit of 4 bottles. Offer valid through 12/24. Rebate is valid in store only and is limited to stock in hand. Rebate is in the form of an in store credit check. There are several other FREE After Rebate items that are still available in the Home for Christmas as well, through 12/9/12. In addition, the Last Minute Home Improvement sale flyer has Boot Trays and Broadloom Mats FREE After Rebate, LIMIT 4 – $1.79 Value Each. Valid December 2 – 16.